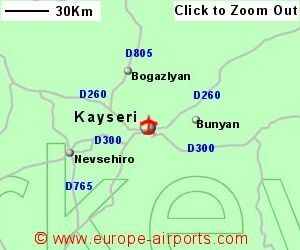 Find and compare the best prices from a range of well known car rental companies at Kayseri Airport. This is a free to use facility, enabeling you to book direct with the company quoting the price. The terminal at the small airport of Kayseri was built in 2007. A shuttle bus is available as are taxis. 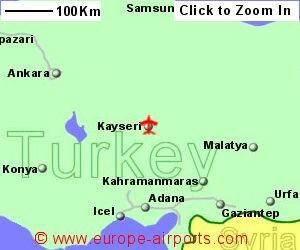 Just under 2.0 million passengers passed through Kayseri airport in 2015, a 19% increase from the previous year.Sorry but we do not have any details of flights from the UK or Ireland to Kayseri Airport.